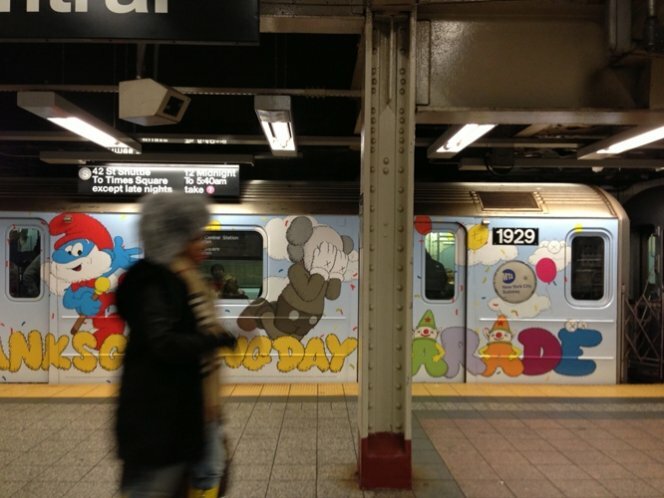 This 3-Car S Train wrapped with the Macy’s Thanksgiving Day Parade campaign by graffiti artist KAWS travels exclusively between Grand Central and Times Square. 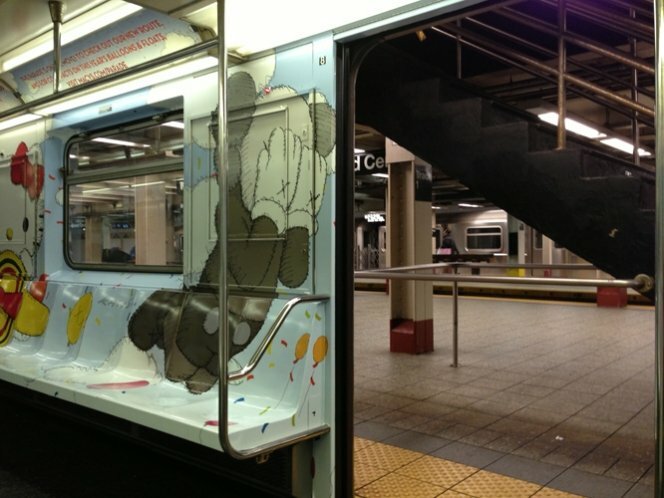 Wouldn’t riding this train make your trip to work just a little bit brighter? Sadly the use of public transit is as rare as walking in L.A.; so yeah, I feel like moving to NYC right about now. 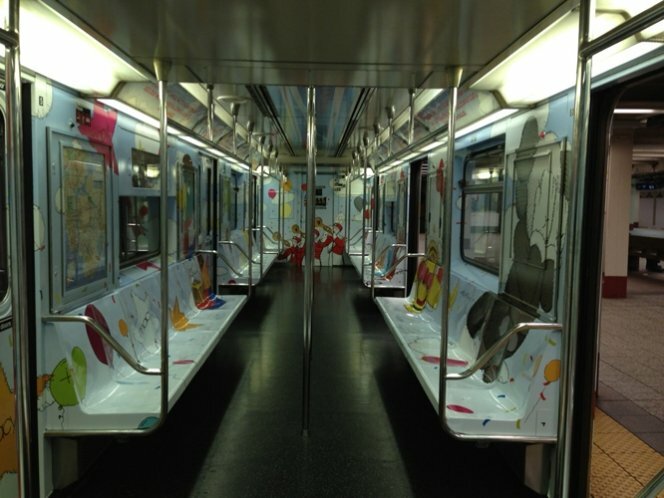 Check 12ozprophet.com for a great post discussing how far we have come from the days of erasing graffiti from subways.